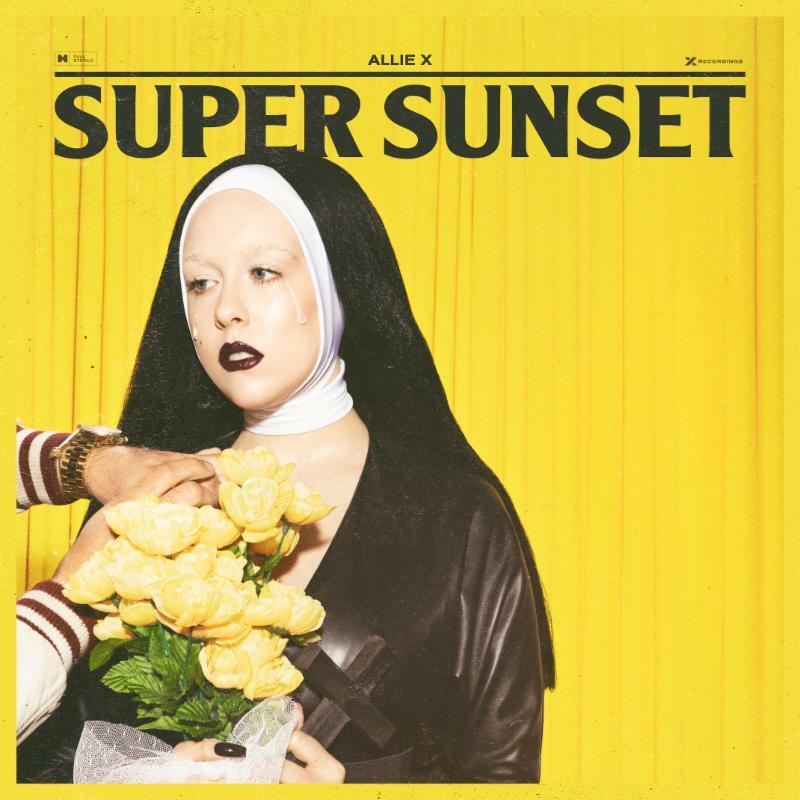 Today (July 17), indie & electropop artist ALLIE X announces her newest body of work SUPER SUNSET. Drawing from real life events over her last four years in Los Angeles, from the mundane to the magical, Toronto-native ALLIE X offers her most lyrically personal work to date on a mini-album set for release Fall 2019. Pre-order for the physical album launches today, July 17 with digital pre-order to be available in the coming weeks. On SUPER SUNSET, ALLIE X–a self-described electronic de-tuned dream pop artist–evolves, taking a step towards something less formulaic and radio-ready, more mature. Out now, singles “Not So Bad In LA” and “Focus” are the first two of several that will be released monthly leading up to the record release. Taking a step back and reflecting on all that’s transpired since hopping out of the cab and walking into a large house atop Los Angeles’ Mulholland Drive where she spent the next six months (barely) sleeping on the floor. As anyone chasing their goals in LA will tell you: the glitz is all around you, it just isn’t yours. Until you make it. Though lyrically different and sonically based on 90’s synth-pop, SUPER SUNSET still has the X factor. Look no further than the promotional imagery, which was photographed by Vijat Mohindra, who is well-known for his work with Nicki Minaj, Miley Cyrus, Kim Kardashian and more. In these photos, three characters emerge.“One is a nun and she represents the purity of art, the spirituality/authenticity of being an artist you could say (“Focus”). Then there’s the Hollywood starlet: she obviously represents the Hollywood dream, the glamour of this city (“Not So Bad In LA”) and also all of the confusion and sadness that comes with it, but she’s always camera-ready. Then there’s sci-fi girl. She’s usually got a neon bowl cut. She embodies the Allie X persona, I think. The person that I have shown myself to the world as, how I’ve used my quirks as a protective layer.” Each alter ego will come out in song artwork, performances and videos throughout the campaign. ALLIE X – credit Vijat Mohindra.